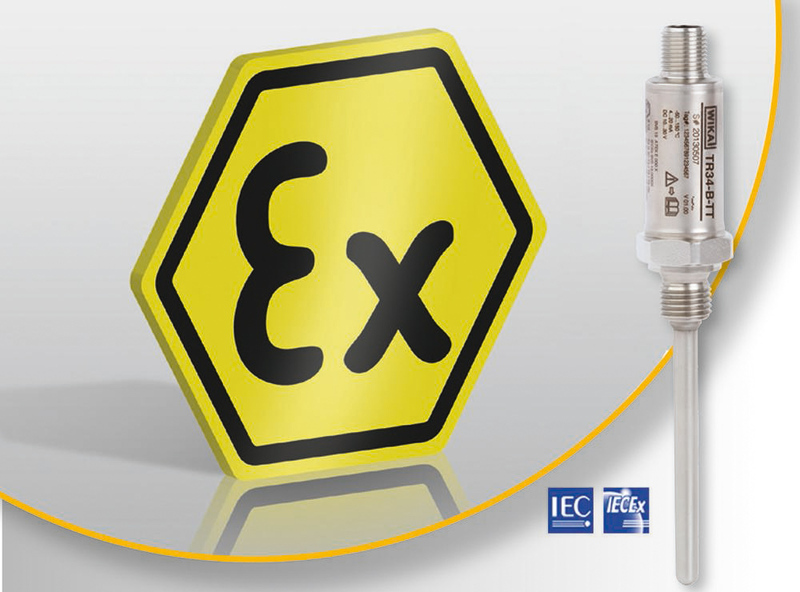 The safety-related quality of the new TR34 miniature resistance thermometer from WIKA is confirmed: The instrument has been awarded ATEX and IECEx approval for Ex-i ignition protection type by DEKRA Exam GmbH. The TR34 expands the new programme of miniature resistance thermometers to add a measuring instrument with an intrinsically safe design, geared to a wide variety of applications. High-quality materials, high vibration resistance and ingress protection to IP 67 and 69K make the TR34 extremely durable. The new miniature resistance thermometers are screwed directly into the process. 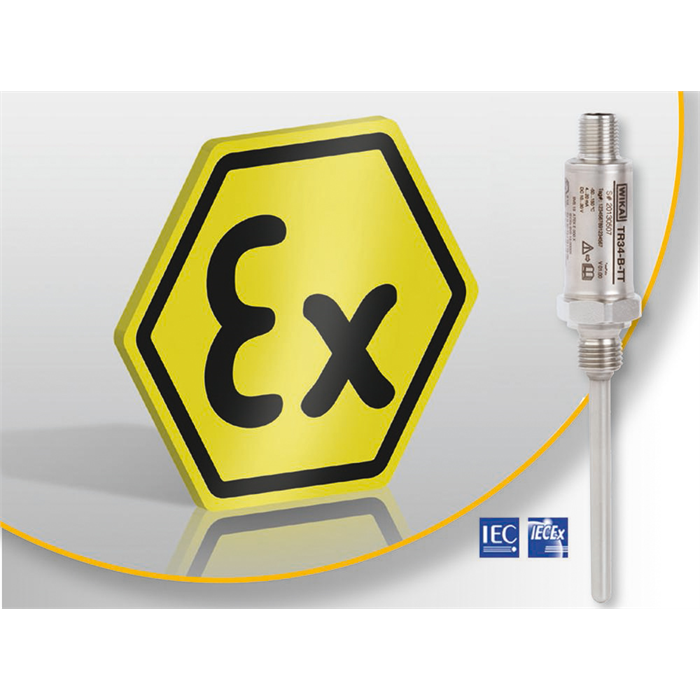 They feature an integrated digital transmitter with a measuring range of -50 … +250 °C, which can be programmed individually and simply via newly developed software.